Canakkale: Carpet making is widespread in small towns and villages in the vicinity of Canakkale, Ezine, Ayvaclk and Bayramig. It has a very long history in this region. Originally, flat-woven weaving took place. The main material is wool; the proportion of wool in most of the carpets being 100%, and all the carpets are produced in traditional dimensions. Green, red, blue and yellow are the main colours. 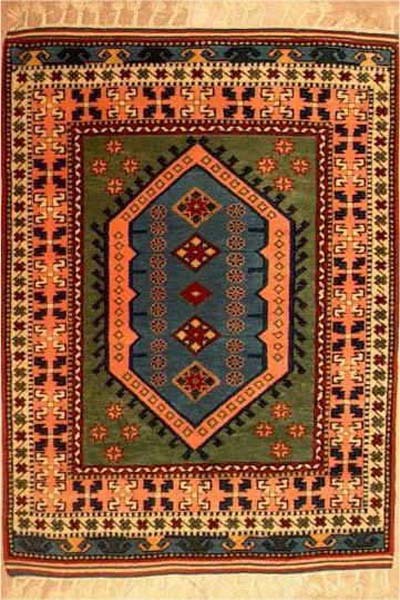 Due to migrations from Caucasus, the carpets of Canakkale region offer great similarities with the Caucasus carpets.